The Icebreaker Men’s Anatomica Leggings with Fly (150 Ultralight fabric) forms part of my layering system but I must admit that they don’t get used that often in that capacity. Having worked outside in cold conditions for much of my life my cold tolerance is pretty good compared to most people so it needs to be around -4° celsius or worse before I will even consider putting these on. My main use for this garment is as night clothes when the temperature drops below 0°Celsius and I know that I am going to have to go outside for a call of nature during the middle of the night. I also travel fairly light so only bring one pair of pants on a multi-week trip so will often use these when its washing day (its a great look). 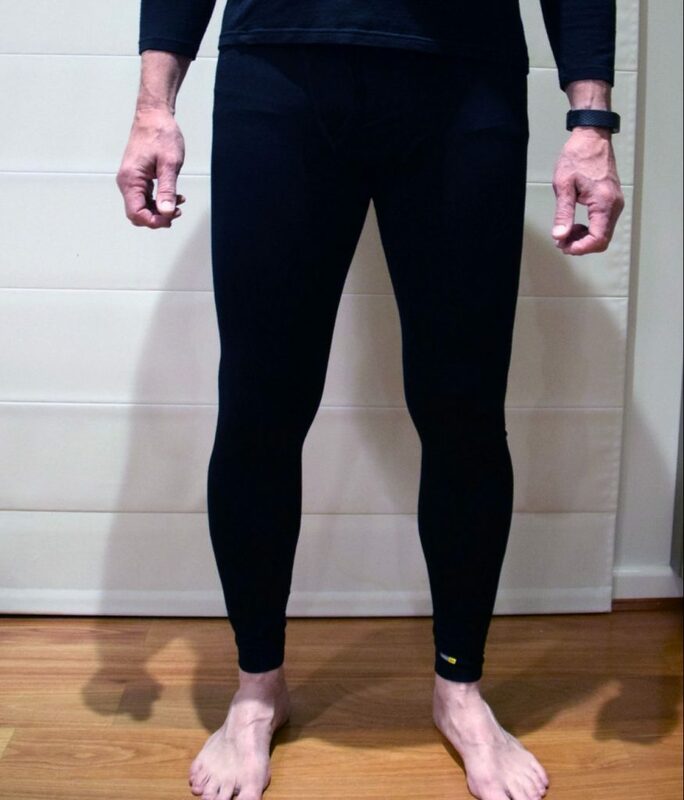 My layering system for the bottom half of my body uses Exofficio boxers, Prana Zion pants, and the Icebreaker Men’s Anatomica Leggings with Fly. I must admit that I am not a fan of extra layers unless its absolutely necessary as I find that they annoy me. The Icebreaker Men’s Anatomica Leggings with Fly like any product has some negatives; well only one really and that’s price. Being a garment made mainly of wool these garments are not cheap and the Icebreaker Men’s Anatomica Leggings with Fly is priced at just on $90 AUD. You can buy cheaper brands but Icebreaker is known for its quality and the quality of this garment is excellent. Then there’s the advantages. These garments lasts and lasts and I am still using my seven year old Icebreaker long johns. You are more than likely to need to replace them because you have put on weight rather than they have fallen apart. The use of mainly wool (83%) means they don’t stink like other types of clothing after heavy wear. Icebreaker class this garment as ‘ultralight’ so for many people they may not be warm enough in very cold conditions and you may want to go the heavier weight options. From the material used, to the flat lock stitching which minimises chaffing these long johns are a great allround option to increase your time on the trail or just as a comfy set of sleeping pants.